Inspired Color. Defined Performance. : Is vDesign® the right tool for you? Is vDesign® the right tool for you? Our vDesign®color and property matching software has evolved over the past decade to become a powerful tool in developing new colored products for the plastics industry. The web-enabled software makes lots of color and property decisions easy and even includes pricing for the color formulas it generates. Our customers can even request evaluation masterbatch samples from Americhem through vDesign. The program is ten times faster than the previous version and now possesses the ability to design true spectral matches. While vDesign has made life a lot easier for product designers, it’s not necessarily the right tool for everybody. Although vDesign matches are designed for dozens of polymers and end-use applications, it doesn’t work for every technology. While it can generate matches, property data and alternatives for everything from nylon automotive carpeting to transparent PET bottles, vDesign doesn’t have color solutions for PET films. But don’t let that stop you from requesting your technology, as vDesign is adaptable and capable of accommodating infinite technology solutions. vDesign has multiple solutions for the packaging industry, but it doesn’t spectrally match special effects. However, vDesign does allow you to run searches for over 1.5 million special effect formulas such as metallics and pearlescents through an add-on software module that features improved searching capabilities. Because of the vast and infinite nature of color, vDesign can’t match every color. But on most general purpose matches, the software can get within 0.5 ΔECMC of the color you desire. For very chromatic colors, the amount of colorant required may cause the colorant to migrate from the final article. We are working toward developing technical solutions to address this for vDesign. 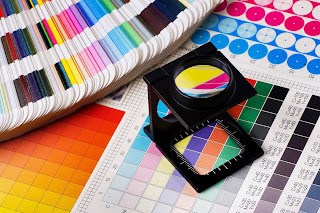 But if that exact match is extremely important, we employ highly qualified and tenured color designers in our labs that can help you get to the color you want. For example, extremely chromatic colors are typically best matched by a highly experienced color designer, who can also take into account cost and physical properties. Although vDesign does allow color selection by physical properties, it doesn’t predict masterbatch processability. So to assess spinnability of PET fiber colors, for example, vDesign might not give you the information you’re looking for. But the beauty of the ongoing evolution of vDesign is that we’re adding features and functionality all the time. And the best way for us to improve the program is with input from people like you. Customer input has helped evolve the program to where it is today and will continue to help us add features now and well into the future. R&D Manager – Americhem Inc.